Search for your favorite brands & styles here! Receive a FREE Fox Mercantile sticker with every order! This month's stickers are silver with black logos! 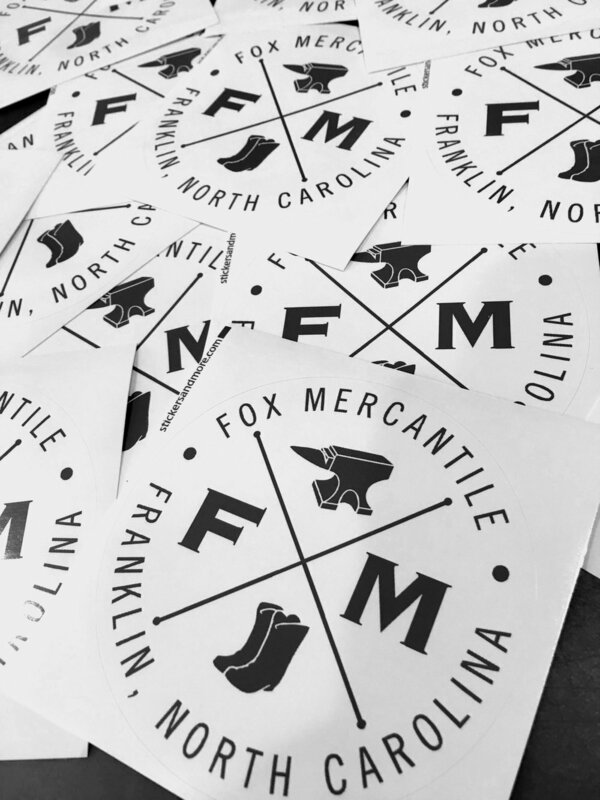 Just like Fox Mercantile's namesake, we work hard to serve our community, helping Franklin, North Carolina find high quality boots, shoes and workwear. Visit our Facebook for more updates on new merchandise, great deals, and local events! Also, take a look at our Instagram! Check out our CLEARANCE page! Up to 40% off select items! © Copyright 2015 Fox Mercantile. All Rights Reserved.